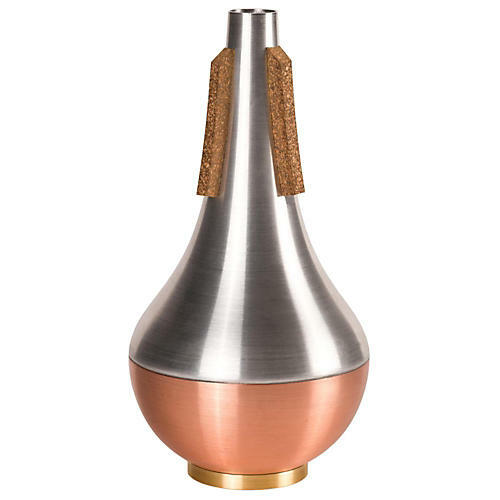 The Copper Bottom Straight Mute by Soulo Mute is the newest invention in the mute world. It combines the traditional Straight Mute sound with a groundbreaking aerodynamic shape, which improves typical issues associated with straight metal mutes. It offers perfect pitch and free-blowing experience. Its patent pending shape allows the air to flow naturally outside of the mute, undisturbed by a crimp or any other barrier. On the inside, the air flows into a perfect hemisphere, never hitting a flat surface, thereby not altering the pitch. Perfect pitch and pure tone. Order one soon.